The Delhi Police had arrested Sreesanth, along with cricketers Ajit Chandila and Ankeet Chavan, and others on charges of spot-fixing. The issue of Sreesanth's ban might be discussed on the sidelines of the meeting as well. 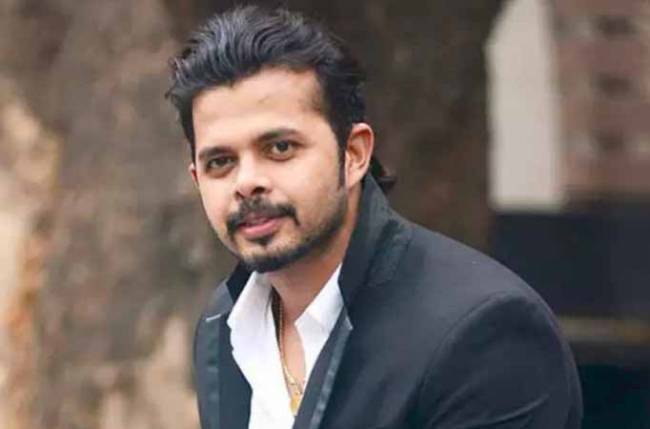 In an earlier hearing, Sreesanth had told the court that he initially confessed to the Special Cell of Delhi Police about his alleged involvement in the spot-fixing scandal to escape sustained and continuous police torture. Speaking to PTI after a favourable verdict by the apex court on Friday, a relieved Sreesanth said: "I don't know what life has in store for me after all these years". The top court, according to Livelaw website, directed the disciplinary committee of the BCCI to take a decision on the quantum of punishment within three months from today. "The order dated 13.09.2013 of the disciplinary committee only to the extent of imposing sanction of lifetime ban is set aside". "This is a Supreme Court order and obviously a call needs to be taken". The apex court bench of justices Ashok Bhushan and KM Joseph, however, made it clear that its order shall have no effect on criminal proceedings pending against him. "I just want to play whatever cricket I can", said Sreesanth, who has been a part of the 2007 World T20 and 2011 ODI World Cup winning squads. "The punishment period has already been completed as I have been banned for nearly six years", said Sreesanth. Jan 30, 2019: The Supreme Court questions Sreesanth about why he didn't inform the BCCI that he was being approached for alleged spot-fixing in 2013.